Call your Mom or better yet...take her to Ottawa ComicCon! This Fourth edition doesn't have quite the Horror element last years did, with the Unholy Trinity of Kane, Bruce and Robert, but as always there are oodles of Comic and SciFi guests and a few nuggets for the horror fans as well. Special guests include Malcolm McDowell, who of course starred in a Clockwork Orange, and bravely tackled re-imagining Dr. Loomes in Rob Zombies Halloween, amongst many, many, many other horror and sci-fi roles. 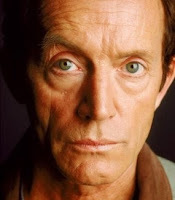 Also on board is Lance Henriksen of Alien, PumpkinHead and more movies than I care to count. 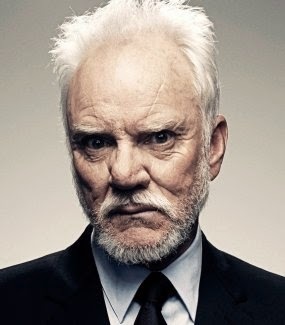 Horror Panels include "Horror Movies, Social Fears" at 4:15PM today in Meeting Room B, and Zombie University at 6:30PM hosted by Robert Smith? who helped create the Mathematical Model of a Zombie outbreak here in Ottawa which has been making the rounds of the interwebs. And let's not forget our friends and BlackFawn who are hosting "Survival of the Bloodiest: Horror Films in the Digital Age", a discussion of creating horror films in, oddly enough, this digital age. The meeting is at 4PM Saturday. You can see our interview with the boys here. Of course OH will be on the floor to bring you all the latest on Twitter and Facebook, but if you're around the Con on Saturday, be sure to keep a look out for the ever nefarious Dr. Rigormorto, who rumour has it, may be making a rare public appearance at the event!